The world is waging war on corruption. Accompanying this war, there is also a growing academic interest in corruption. This research, however, has tended to operate with a nearly undisputed understanding of what corruption is and how to fight it. It has refrained from theorizing corruption, possibly as a consequence of the perceived urgency involved in identifying, raising awareness about and fighting corruption. This special issue of ephemera seeks to re-emphasize the relevance and importance of theorizing corruption. We do this by addressing the following questions: Why is the increasing scrutiny of corruption taking place? What are the implications of this interest in corruption for organizations and for their members? And why is corruption so often depicted as something unwanted (a ‘virus’ or a ‘cancer’) and its ‘cures’ almost exclusively as noble tasks? 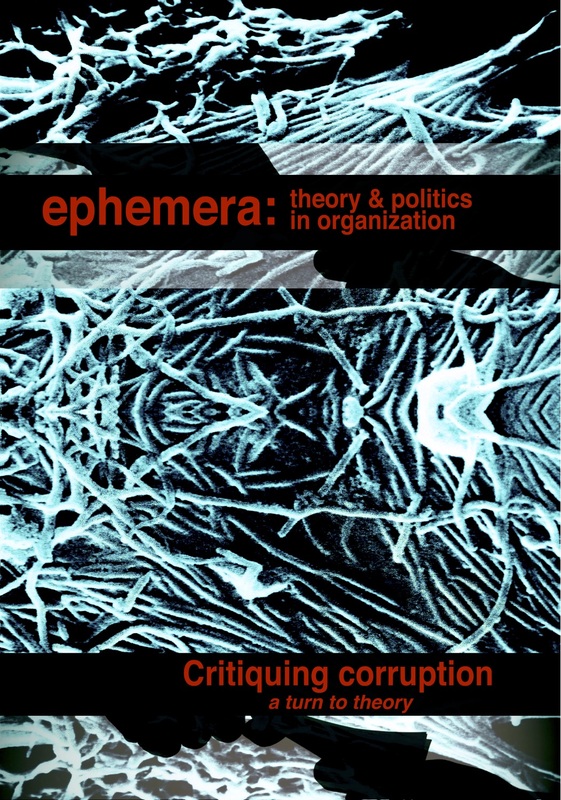 This special issue of ephemera brings together an interdisciplinary team of scholars whose contributions challenge the dominance of broad, overarching theories of corruption by constructing alternative theoretical understandings of corrupt practices, their causes and remedies. Exploring the virus metaphor in corruption theory: Corruption as a virus?